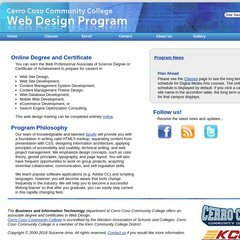 Topics: Classes, Web Design Associate Degree, Web Design Certificate, Enroll, Transfer Classes, and Articulation. academy-webdesign.com Tips for Successful Collaboration: Academy of Media Arts Web ..
academy-webdesign.com Web Design Degree Program: Web Design Training: Online Classes ..
journeyed.com JourneyEd.com - Academic Software Discounts! It has 2 DNS records, ns2.west-datacenter.net, and ns1.west-datacenter.net. It is hosted by Westhost Inc (Utah, Providence,) using Apache/2 web server. Academy-webdesign.com's server IP number is 208.131.153.131. PING (208.131.153.131) 56(84) bytes of data.